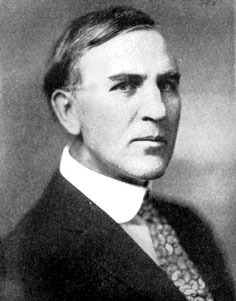 F. E. Clements was, during his prime, the most influential ecologist in the world. During ten year periods at the University of Nebraska and University of Minnesota he developed and refined the theory for which he is best known: ecological succession. The notion that community systems might go through a dynamic and orderly (and almost organic) set of stages leading to a stable assemblage of species known as the climax was the first attempt at a universal understanding within ecology, and proved an irresistible unifying force among its workers even as an increasing number of studies demonstrated various limitations to the theory. Clements left academia in 1917 to join the staff of the Carnegie Institution of Washington as a research associate; from this point on he moved in an increasingly Neo-Lamarckian direction, including attempting to demonstrate that acquired traits could be passed on to descendants. This work isolated him from the mainstream (and ended up unsubstantiable), but it did provide a target for workers involved in the Neo-Darwinian synthesis. The Biographical Dictionary of American and Canadian Naturalists and Environmentalists (1997), p. 157, succinctly lists Clements' major contributions as "development of formal theoretical framework for plant ecology, creation of system of ecological nomenclature, introduction of quantitative methods to the study of vegetation," and "extensive field research in plant ecology." --born in Lincoln, Nebraska, on 15 September 1874. --1913: director of the international botanical excursion in the U. S.
--dies at Santa Barbara, California, on 26 July 1945. --Dictionary of Scientific Biography, Vol. 3 (1973). --Taxonomic Literature Suppl. IV (1997). --Journal of Ecology, Vol. 34(1) (1947): 194-196. --National Cyclopaedia of American Biography, Vol. 34 (1948). --Ecology, Vol. 26(4) (1945): 317-319. --Osiris, Vol. 8 (1993): 178-195. --American Development of Biology (1988): 257-280.